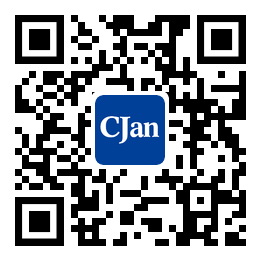 ﻿ Properties Of Polypropylene Tubing - CJan Fluid Technology Co., Ltd.
Resistance to corrosion; anti-rust property; portability; low density; high temperature resistance; aging resistance; relatively shorter service life than polyethylene (PE); good surface finish; good thermal stability; low melting rate; excellent surface smoothness; good recognition for food grade; low price. The chemical stability of polypropylene (PP) is very good. Except being corroded by concentrated sulfuric acid and concentrated nitric acid, PP is relatively stable when facing other chemical reagents. But low molecular weight aliphatic hydrocarbons, aromatic hydrocarbons and chlorinated hydrocarbons can soften and swell it. Meanwhile, its chemical stability improves with the increase of crystallinity. So PP is suitable for producing various chemical pipes and fittings with a good anticorrosion effect. PP has a good heat resistance. Its product can be sterilized at the temperature of more than 100 ℃. It can keep the shape at 150 ℃ without external force. Its embrittle temperature is -35 ℃, that is, PP will be embrittled when the temperature is lower than -35 ℃. Its cold resistance is inferior to PE. PP is sensitive to ultraviolet light. And its aging resistance property can be improved by adding Zinc Oxide, dilauryl thiodipropionate, carbon black or similar opal filler.